In India, autism is a disorder that has long been dismissed as an impossibly hopeless condition that nothing can be done about, rather than a neurological disorder where the person’s condition may be alleviated through training and the spreading of awareness. Children and adults with autism have been hidden away and considered a stigma. Sethu, an NGO that works to sensitise people about autism besides teaching autistic children and their parents how to live and progress with the disorder, celebrated World Autism Awareness with a lecture to help people understand autism at the Goa Science Centre, Miramar on the 3rd of April 2016. Autism or autism spectrum disorder (ASD) are terms for a lifelong developmental disability. There are varying degrees of intensity of the disorder and the spectrum includes Asperger’s syndrome, pervasive developmental disorder, not otherwise specified (PDD, NOS), autistic disorder, Rett syndrome, and childhood disintegrative disorder (CDD); with Asperger’s being the mildest form, and childhood disintegrative disorder being the most severe and least common. About 80% of those affected are male children, although Rett syndrome is more often found in girls. Asperger’s syndrome was once listed as a separate disorder but has been included under ASD in the latest edition of the Diagnostic and Statistical Manual of Mental Disorders (DSM-5). There are a variety of factors that may contribute to this condition, though no conclusive evidence has been found as to how this disorder occurs. There is the genetic factor and congenital brain defects. If the mother contracted rubella during pregnancy this may affect the child too. Complications in childhood illnesses and lack of oxygen supply to the brain are also factors to be considered. No two children with autism will be exactly alike but there are behaviours that predominantly define autism with variation in occurrence. There will be limited or no eye contact and a preference for solitude. Inappropriate attachment to objects is observed in such children as well as crying or laughing for no apparent reason. They possess no sense of fear, use repetitive motions to calm themselves, and may have difficulty in speaking. The inability to understand the emotions of others is evident in them, as well as echolalia (repeating the words of other people). They tend to think in pictures instead of words and have literal comprehension. Autistic individuals may say irrelevant things and prefer to use names in place of pronouns. For example an autistic child may say ‘Alan wants water’ instead of ‘I want water’. Because they cannot divert from their pattern of thinking any change in that pattern upsets them immensely. Social rules are beyond their appreciation and they become engrossed in details but are unable to visualise an object as a whole. The crux of their behavioural problems lies in the difficulty faced by children with autism in sensory processing. Besides the normal five senses of touch, taste, sound, hearing and sight, we possess a joint position sense and a vestibular sense. The joint position sense allows us to determine approximately the position of a limb even when we cannot see it, while the vestibular sense gives you balance and body orientation. Not only do autistic children have trouble processing these senses, they can rely on just the senses of touch and smell. Even where these senses are concerned, autistic children will respond on different levels depending on how hyperresponsive or hyporesponsive they may be. When people are hyperresponsive it means that their senses are heightened to the degree that sounds, smells, textures, etc that are abhorrent to normal people are intensely magnified. This causes them to withdraw from people. They cannot bear being touched however much they may want emotional bonding. They have a preference for bland food and only certain edible items. Autistic children who are hyporesponsive need stronger stimuli to react and come across as being aggressive as a result. In such cases the child’s face could be covered with food and they would not be aware of it. There would be little or no response to sound and a seeming insensitivity towards pain. These children are not beyond help and the earlier the training begins the better it is for them and their families. 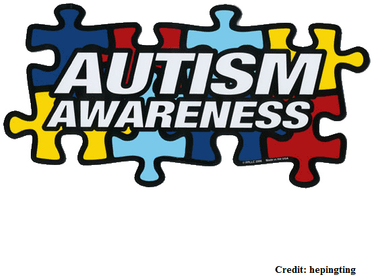 Autism can be detected from 18 months and is best diagnosed before the child is 5 years old. There are tests that will determine which autism spectrum disorder the child has. After this is done intervention is possible. Here the family is the most important instrument of change in the life of the child. Apart from family there are psychologists, occupational therapists, speech therapists, special educators, paediatricians, and physiotherapists who play a significant role in empowering an autistic person or child. Besides this, especially in the case of autistic children, school environment should be conditioned to create an inviting atmosphere for them with staff training and sensitisation, and restructuring of the school. 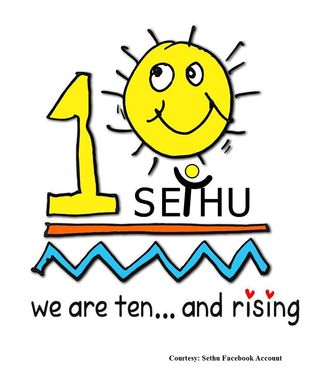 At Sethu, autistic children are trained in a way that will enable them to become organised, calm and focused. If they are hyperactive, they are made to participate in activities that require use of muscles and joints, and require body strength. These would be crawling, pulling heavy objects, etc. In the case of hypersensitive children, they would be introduced to different textures gradually. For example they would be made to put their hands in rice or have textures rubbed against them. This is done in an orderly manner with intervals and is called a sensory diet. The parents learn how to handle their children and continue working with them at home too. One of Sethu’s success stories is an 11-year-old boy who has progressed to the extent that one cannot tell that he is autistic any more. He appears as normal as any other child and does well in class too. His mother testifies that it has been hard work and still is, but the journey with Sethu has been worth it. This is evidence enough that if your child happens to be autistic, it is not the end of the road. There are avenues of aid that will best support your child and you.